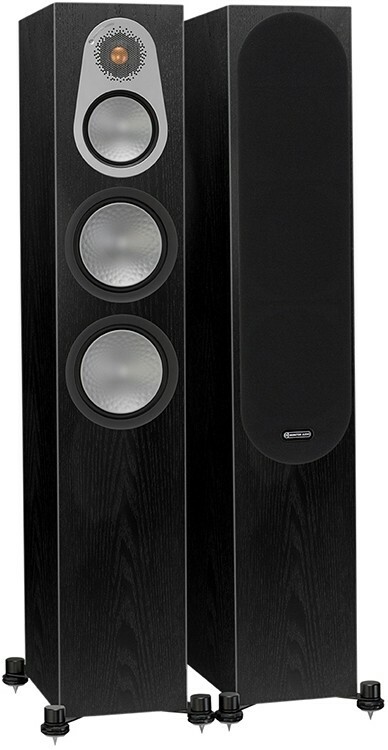 Silver 300 is the second largest floorstander in Monitor Audio's Silver range, sitting above the smaller Silver 200 model and below the flagship Silver 500 floorstanding speakers. 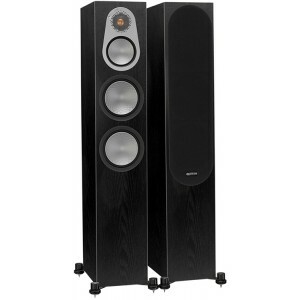 Monitor Audio Silver 300 floorstander preserves the award-winning configuration of its predecessor with a number of crucial driver enhancements. 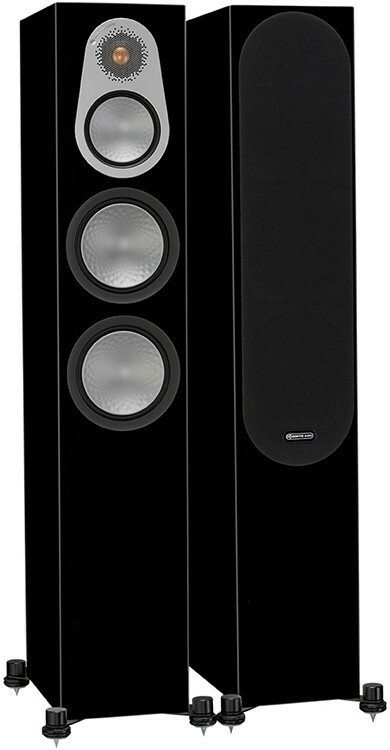 The complete three-way design produces class-leading mid-range, while a pair of long-throw C-CAM (Ceramic-Coated Aluminium/Magnesium) 6" bass drivers operate together to deliver astounding power from the tall but slim cabinet design, ideal for authentic hifi and AV installations. The three-way configuration enables each driver to be augmented for better performance over a narrower frequency band; the genuine way to attain elevated performance in every respect. Supremely natural mid-range is provided thanks to a dedicated 4" driver, purpose designed with ‘under hung’ voice coil and motor system. This method ensures the voice coil stays in the magnetic gap under all circumstances for noticeably lower distortion than usual at this level – a change that can be instantly heard. Coupled with higher total impedance and greater total system damping, the cabinet can be positioned close to a wall. 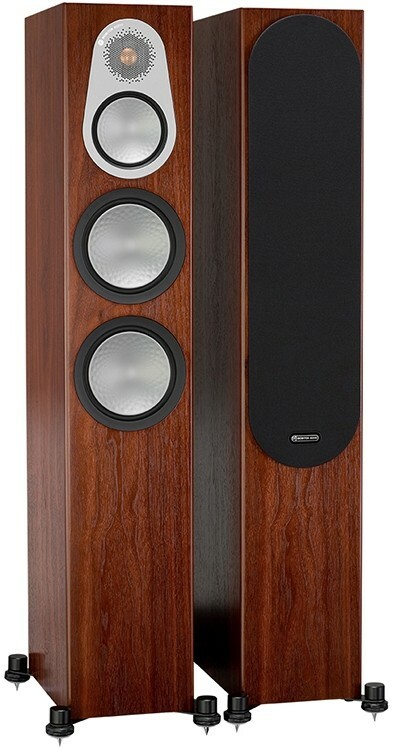 This is a true audiophile speaker, capable of acheiving seismic levels of bass extension. 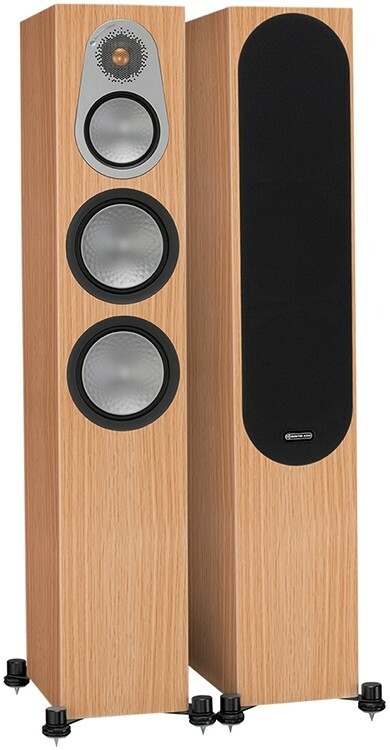 For maximum performance, a distance of just 12" (30cm) is required between the speaker and wall, letting the system to breathe and function optimally. 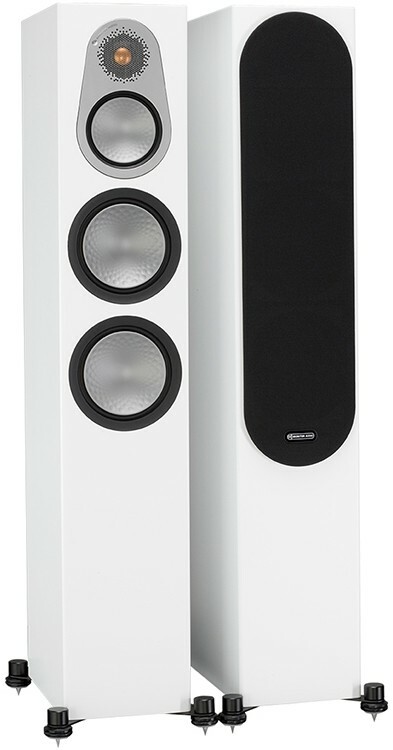 High total sensitivity makes Silver 300 effortless to drive with a modest, premium amplifier delivering accurate, dynamic music or movies to fill a mid to large-sized room.